Walt Disney World has been on a food revolution in the past couple of years, moving away from the preconceived notion that their quick service locations only serve hot dogs, hamburgers, and chicken nuggets. This movement includes a new way of looking at the way in which the menu items are prepared and handled by the guests. The stuffed sandwiches of Min & Bill’s Dockside Diner, found in the Echo Lake section of Disney’s Hollywood Studios, are just one example of reimagining dishes. 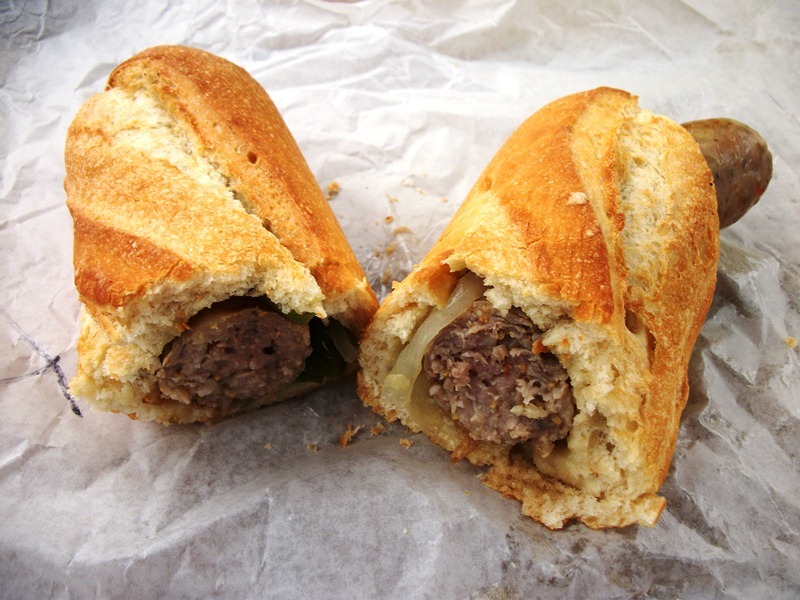 Today we continue our look at these sandwiches with the Italian Sausage. The Italian Sausage isn’t the only thing stuffed inside the French bread roll, the sausage is paired with grilled peppers and onions. What you get is a very traditional set of flavors in an unconventional package. The French bread is soft and buttery on the inside with a crispy crust that can you can hear crackle as you bit into it. Some of the interior of the bread is scooped out to make room for the sausage and veggies. The onions and peppers are thinly sliced and grilled to a point where they are slippery, but still maintain some of their chewy texture. The sausage has a great snap to the casing, the classic bite of fennel, and just a bit of heat. The portability of this sandwich is perfect for guests on the go in the park, and makes the perfect pit stop between the thrills of Sunset Boulevard and the movie magic happening in the back half of Disney’s Hollywood Studios. Overall, I can highly recommend the Italian Sausage stuffed sandwich from Min & Bill’s without hesitation! All the joys of an Italian Sausage sandwich with much less mess.